Earth’s tectonic plates are weird as hell. First there weren’t any, then there was a massive shell, then there were baby continents, then supercontinents, microcontinents, regular continents, all of them shifting around the Earth’s crust and changing its appearance, like a very slow inkblot test. Now, it appears they’re set to get even stranger. A team of researchers – led by the University of Houston – has concluded that, beneath our world’s tectonic plates, there’s another separate layer of independent plates doing their own thing. Speaking at a joint conference between the Japanese and American Geophysical Unions in Tokyo this week, the team say that they’ve been using seismic waves to peer beneath the crust. These waves travel at different speeds through different materials, and as such, researchers can use them to find out what’s beneath their feet. Their research uncovered a mysterious layer present beneath Japan, Korea, and Northeast China, as well as beneath the island of Tonga. They’re definitely composed of the same material as modern tectonic plates, but they’re found incredibly deep within the mantle. So what are they? The tectonic plates we’ve all come to know and love – well, except creationists we suppose – are found within the lithosphere, the outer shell of a rocky planet, including ours. 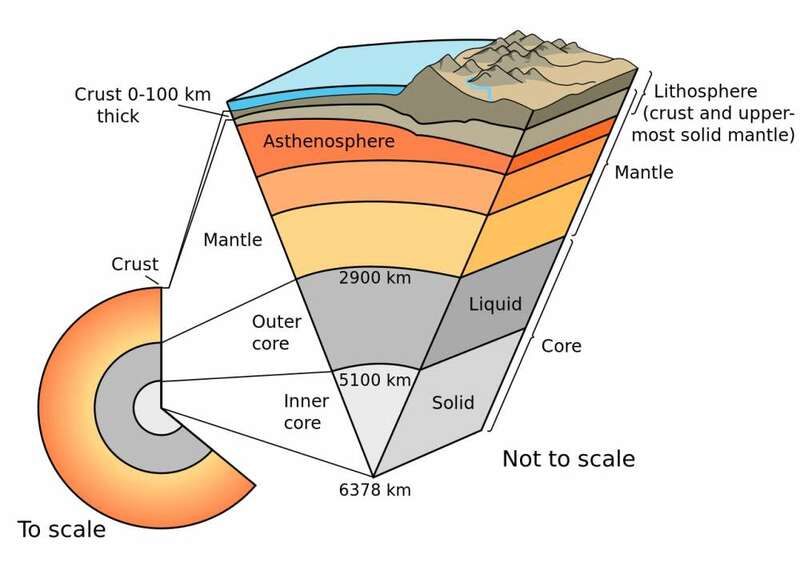 They are composed of the crust – whether that’s the less dense continental variety or the dense, submarine oceanic flavor – and the upper mantle, a layer of slowly moving, superheated solid rock called the “asthenosphere”. This causes them to drift around, bang into each other, grind past each other, and sometimes even destroy each other. That, in essence, is where we were at as of 2017. However, this new research suggests that beneath the seven/eight major tectonic plates resides another layer of them. They appear to be vast, continental-sized segments of ancient plates gliding fairly quickly around a transition zone 440-660 kilometers (about 273-410 miles) beneath the surface. The base of the regular tectonic plates, at least when they’re “flat” on the surface, is about 200 kilometers (124 miles) down below, so the newly discovered ones are way beneath that. So what’s going on here? It’s likely that these plates are ancient ones. 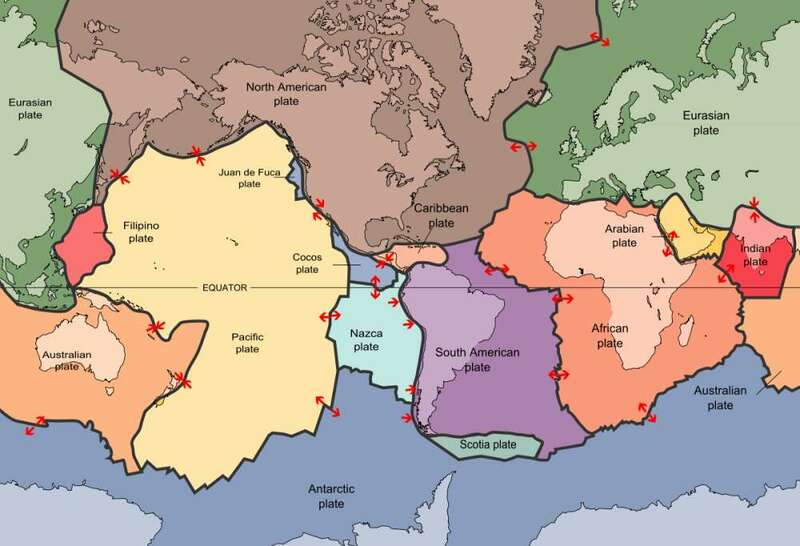 They would have encountered another tectonic plate during their more shallow existence at a “subduction zone”. Being denser than the other, they would have sunk beneath their colossal opponent, broken off, and drifted down into the mantle. They likely subducted during the Eocene Epoch, about 50 million years ago. Back then, the age of the dinosaurs had come to a dramatic close, and mammals, crocodiles, turtles and birds - those hardy avian dinosaurs still with us today - proliferated across the globe. This study suggests that, at the same time, part of the Earth's surface collapsed and drifted below, never to be seen again - until now, that is, thanks to cutting-edge scientific techniques. The discovery of this new layer of plate tectonics solves a long-standing mystery. On occasion, incredibly deep-seated earthquakes rock the countries sitting above these plates, but they appeared to be originating from way below any known tectonic plate. You need plates to get quakes, so this has baffling scientists for a while now. However, this new research has shown that they are probably coming from this new layer of tectonic plates. They may be semi-detached from the primary plates these days, but these enormous slabs can still bend, buckle, and break – and cause quakes as they do so. Indeed, their ongoing destruction is so energetic that it’s causing powerful shockwaves to make it all the way to the surface. "Our results suggest that earthquakes can be produced thousands of kilometers away from a subduction zone from lateral movements of still-attached but mobile stagnant slabs within the uppermost ~660 kilometers of the mantle," the team explain in a statement. The research has yet to be peer-reviewed, but it’s looking likely that, once again, Earth’s hellish depths have been holding back more secrets from us than we’d realized.